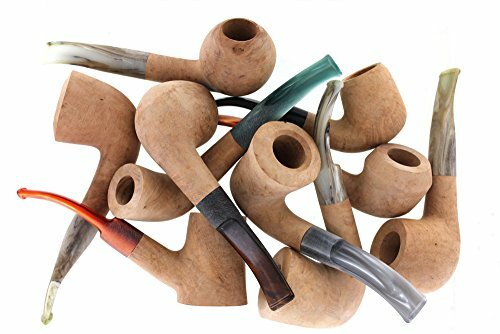 Barlow & Dorr's 10 Pack of mixed medium bent pipes. The pipes are Italian made briar bowls with acrylic stems. All pipes are unfinished with no "life-treatening" blemishes and can be sanded, filled, and stained to the users desire! Each 10 Pack includes a variety of colored stems. Colors, shapes, and medium size will vary. These pipes are non-filtered. All pipes are unfinished with no "life-treatening" blemishes and can be sanded, filled, and stained to the users desire! If you have any questions about this product by Barlow & Dorr, contact us by completing and submitting the form below. If you are looking for a specif part number, please include it with your message.